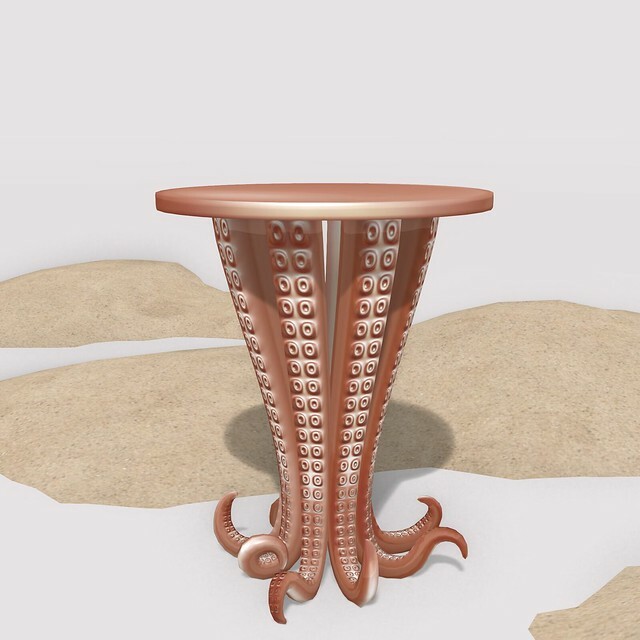 For this Collabor88 of ocean breezes, a tentacled side table to hold your drinks (and other things) and probably not steal them. It's a lot of arms to have to trust. 21 colour options, the top can be changed separate or together, and the legs can also be set to alternating colours if desired. At Collabor88 until July 6.